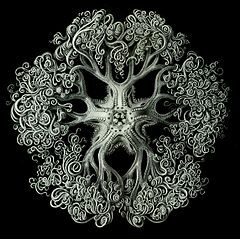 Gorgonocephalidae is a family of basket stars. They have characteristic many-branched arms. Gorgonocephalidae are the largest ophiuroids (Gorgonocephalus stimpsoni can measure up to 70 cm in arm length with a disk diameter of 14 cm). Fossil record of Gorgonocephalidae dates back to Miocene. This echinoderm-related article is a stub. You can help Wikipedia by expanding it. This page was last edited on 21 March 2018, at 23:10 (UTC).